Photo by: Montgomery Co. Police Dept. Officials say the suspect, 28-year-old Jerail M. Netcliff pulled out a gun and demanded money from a teller at a Bank of America in Rockville. A 28-year-old man was arrested Friday after police identified him as the suspect in an armed bank robbery in Rockville, officials said. The Montgomery County Police Department charged Jerail M. Netcliff with one count of armed robbery and one count of using a firearm during the commission of a felony. Around 10 a.m. Thursday, police said they responded to a Bank of America in the 17000 block of Redland Road for the report of an armed robbery. Investigators said Netcliff pulled out a gun and demanded money from a teller at the bank before fleeing with an unknown amount of cash. Officials said Netcliff was seen leaving the area in a while U-haul van. Police later determined that he rented the U-haul in Rockville just one hour before the robbery. Police said Netcliff matched the description of the suspect and an arrest warrant was obtained for him. Netcliff was later arrested in Bethesda before being transported for processing. He is currently being held without bond, according to a police report. 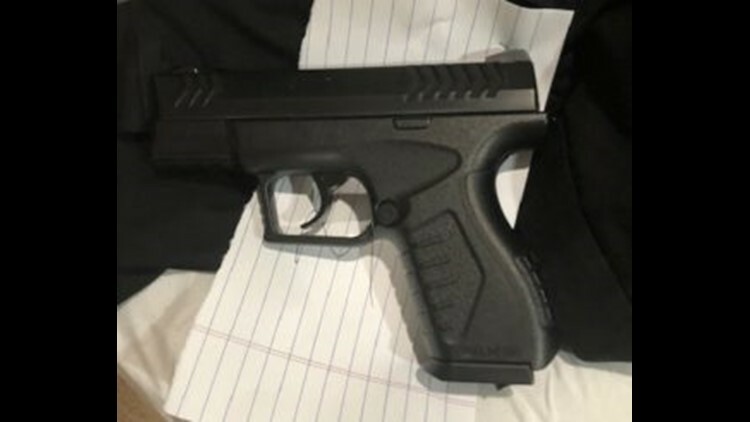 Investigators later obtained a search warrant for Netcliff’s home and found the clothing he wore during the robbery and a fake gun that police believe was used in the crime. Fake gun police believe may have been used in armed robbery.